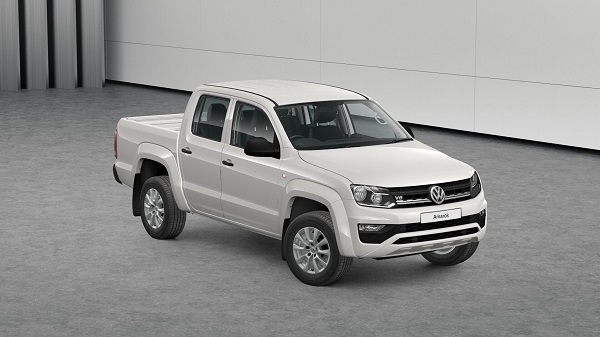 Volkswagen is pitching its most affordable V6-powered Amarok dual cab ute ever straight at the trades, lowering the entry price for the TDI550 engine to $50,990 drive-away with the introduction of the new Core 4×4 model grade. VW Australia has been slowly adding lower-priced variants to the Amarok V6 range, which initially arrived with highly specified Ultimate and Highline variants before a Sportline version was added to bring the baseline price down to around $55K. Now, the German prestige brand has stripped it back further with the Core 4×4, which misses out on a few creature comforts but has the main attractions front and centre: VW’s highly regarded 165kW/550Nm 3.0L V6 turbo-diesel engine, combined with the eight-speed automatic transmission. The price point could even fall below $50K before too long, with Volkswagen Group Australia planning to introduce a long-awaited (six-speed) manual version now that the Core 4×4 is here. With V6 versions accounting for around 70% of total Amarok sales in Australia – and rising – VW is hungry for more new buyers and has just added a higher-output TDI580 engine in top-spec Ultimate trim, which delivers 190kW/580Nm and sees the price ceiling break through the $70,000 barrier for the first time. Back at the new Core grade, VW is highlighting its more rugged and practical nature with items such as hard-wearing ‘Austin’ cloth seat upholstery and ‘hose down’ rubber floor coverings in the front and rear compartments. Exterior features include newly upgraded 17” ‘Posadas’ alloy wheels (on 245/65 R17 tyres, with full-size steel spare), halogen headlamps with daytime running lights, front fog lights, chrome trim on the grille, extended wheel arches and, assisting parking and low-speed manoeuvres, a rear-view camera and rear parking sensors. The Core is also readily identified by its black plastic body trim on the doorhandles, wing mirror caps and rear bumper, which has an integrated step. Headline items in the cabin include height-adjustable front seats, leather-covered multi-function steering wheel, cruise control, ‘Climatic’ single-zone air conditioning system and, not least of all, VW’s ‘Composition Media’ audio system with ‘App-Connect’ integration that supports Apple CarPlay and Android Auto. There’s also a useful amount of safety gear on board including four airbags for front occupants and four-wheel disc brakes with a supporting cast of electronic systems assisting the driver including ABS, EBD, brake assist, traction and stability control, a diff lock, hill holder and, when travelling off-road, hill descent control. Items left off the Core’s standard equipment list include front parking sensors, dusk-sensing headlights, rain-sensing windscreen wipers, a lockable tailgate (with ‘comfort’ closing), tinted windows, four 12V power sockets (leaving one in the cabin), under-seat storage, rear cup holders and chrome cabin trim highlights. The TDI550 V6 delivers its peak power of 165kW from 2,500-4,500rpm, while 180kW is available for short periods on overboost. The maximum pulling power of 550Nm kicks in from a low 1,500rpm and runs to 2,500rpm. With the ZF-sourced eight-speed auto driving through VW’s 4Motion permanent four-wheel drive system, the V6 Core’s official fuel consumption figure on the combined cycle comes in at 9.0L per 100km, while CO2 emissions are listed at 236 grams per kilometre. In terms of outright acceleration, the ute can reach 100km/h from standstill in a claimed 7.9 seconds. Braked towing capacity is 3,500kg, unladen mass 2,091kg, payload 989kg and GVM 3,080kg.